Save on household items during White Sales! If you can still stomach the thought of shopping after the holidays, January can be a great time to cash in on savings for many household items during “white sales”. I was curious to know exactly when the idea of white sales came into play so I did a little research and here is what I found! The very first “white sale” was introduced in 1878 by John Wanamaker who was a U.S. merchant. Wanamaker was considered by some to be the father of modern advertising and a pioneer in marketing concepts. He declared the month of January to be the time for white sales in order to increase the sales of bed linens which were historically low during this time of year. 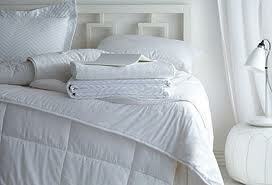 Originally, the white sale offered bed linens, which were available in white only, at a discounted price. Today, white sales typically include many household items and are no longer restricted to items that are white in color. Additionally, white sales are not restricted to the month of January but January is a big month for the sales. So keep your eyes pealed for white sales at Macy’s, Pottery Barn, Target, Bloomingdales, JC Penney, and other retailers to get great deals! https://redefineddesigns.com/wp-content/uploads/2012/12/white-sheets.jpg 185 272 Jenna https://redefineddesigns.com/wp-content/uploads/2019/03/Redefined-Designs-logo-revised2017-RGB-small-for-w_e68147bef04a4c12bb7de8e8de138a0e.jpg Jenna2012-12-31 09:42:042014-08-02 15:22:12Save on household items during White Sales!